No matter what kind of cancer you have, the Kettering Cancer Care team at Kettering Health is here to provide you with the comprehensive, dedicated care you need. 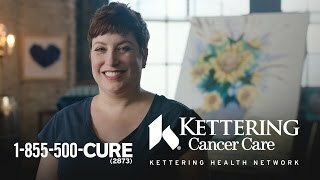 The Kettering Cancer Care oncology experts and professionals of the Kettering Health will provide you with the most comprehensive, dedicated care in the Miami Valley. With diverse cancer care resources conveniently available throughout the region, no other healthcare provider in the Dayton area offers more far-reaching care. While our oncologists have decades of experience treating thousands of people in the region and across the country for all types of cancer, the treatment for each patient is always delivered with personal, compassionate care, every step of the way. To provide you and your loved ones with the best treatment, we ensure the Kettering Cancer Care team has access to the latest technology and drug treatments to effectively care for patients, no matter their diagnosis. And our distinction as Ohio's first Elekta Center of Excellence signifies our enduring commitment to provide life-changing cancer treatments for the region. Cancer care extends well beyond treatment. The life-altering challenges that come with effective cancer treatment are no secret - you and your loved ones will face trying times. Kettering Cancer Care's holistic approach will meet your needs not only for treatment, but also for education, support and ongoing guidance. In essence, our staff strives to treat the entire patient: body, mind and spirit. It's time to start treatment. Our team of physicians, nurses, therapists and support professionals is here to help you every step of the way with compassion and grace. Call us today at (855) 500-2873 to schedule an appointment, or simply to find the answers to your questions.